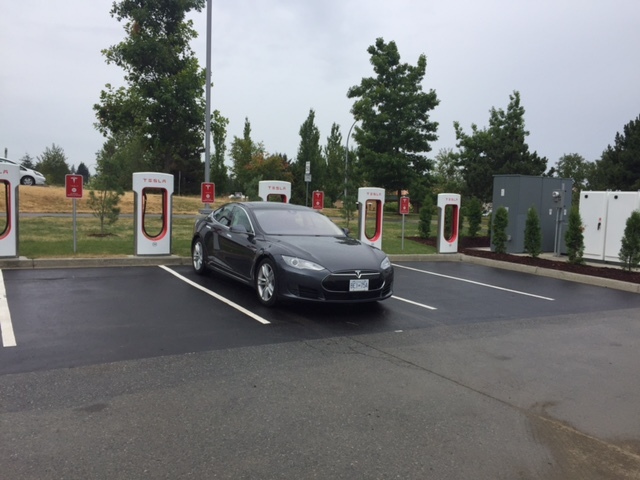 Our members report that an 8-stall Tesla Supercharger in Nanaimo on Vancouver Island is now on-line and available! Jim Hindson and Bob Saunders report it is located at Woodgrove Centre just north of Nanaimo, and is right next to Chapters (which has a Starbucks), and close to Walmart, Save On Foods, and other services. This Supercharger is now active on Tesla’s in-vehicle navigation. 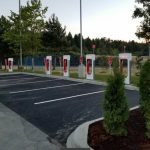 This is a great move for both Tesla owners who live on Vancouver Island and visitors! 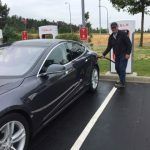 Now Teslas from the mainland or Victoria can easily reach Long Beach, Tofino, Ucluelet, and northern Vancouver Island without having to wait for a Level 2 recharge mid-trip. Access to the Supercharger in Woodgrove is easy. 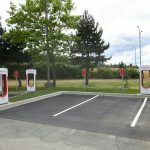 There are two intersections serving Woodgrove Centre from both the Island Highway and Highway 19 – Nanaimo Parkway, but the Mary Ellen Drive turn-off is the one to take for easy access to the Supercharger. After recharging, you can head north or south on Vancouver Island. 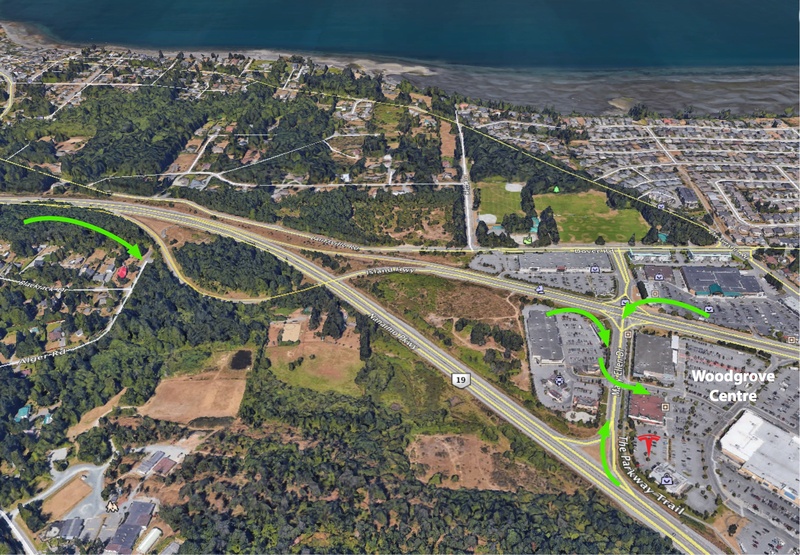 Heading north on Highway 19 and departing BC Ferries Duke Point terminal – Nanaimo Parkway – turn right onto Mary Ellen Drive and right again by Save On Foods into the parking lot. Heading south on Highway 19 – Nanaimo Parkway – after passing Nanoose, veer right on the major exit to the Island Highway and BC Ferries, then turn right onto Mary Ellen Drive and then left just past Save On Foods into the parking lot. If you miss the exit, take the next left turn lane at Aulds Road and double back through Woodgrove Centre. Departing BC Ferries at Departure Bay -Island Highway – Follow the signs for northern Vancouver Island, veering right after leaving the terminal. Turn left onto Mary Ellen Drive and left again just past Save On Foods into the parking lot. 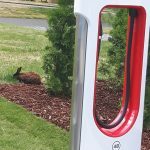 This is great news … Any information as to whether Tesla will be building a supercharger in Victoria? Typically, Tesla builds Superchargers along routes, not in city centres. Tesla has not shared any plans to expand on Vancouver Island, but you never know! 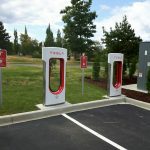 Tesla has announced there will be a SuperCharger in Victoria, as well as several in the urban Vancouver area. 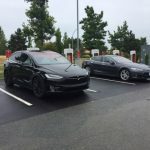 They have already opened a new SuperCharger in Tsawwassen.